Clear Entrapment Binders and Packages have a clear vinyl overlay that is placed on the outside of the vinyl binder over your selected printed sheets. The clear vinyl “entraps” and seals in the printed sheets so they cannot shift placement and cannot be removed. Then you have the option of using any type of 4-color process or other printed sheet under the clear cover—depending upon the type binder or package you need. Clear Overlay Binders are versatile ring binders with a unique advantage: clear vinyl pockets (e.g. front cover, back cover, and spine) can be sealed on the outside panel(s) of your vinyl binder (or box) to allow for the insertion of a printed sheet(s). Then you can slide inserts in and out making the binder usable for several different projects. 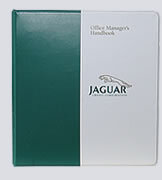 Memo Binders are produced for smaller sheet sizes and typically have 6-rings. They are often used for club membership, employee, and other varieties of handy directories. As with other binders, memo binders can be customized by silk-screening or foil-stamping your custom artwork, and pockets, business card holders, and notepad clips, etc can also be added. Poly (made of Polyethylene of Polypropylene) Ring Binders are economical, lightweight, and extremely durable. These binders are ideal for reference or training guides, price lists, etc that get a lot of daily use. 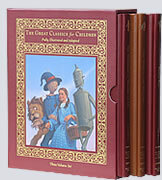 This high-class construction style of custom binders and boxes dates back several centuries from the early days of bookbinding that featured hand crafted books with glued smooth edges. Today, the turned edge style is affordable because of automation—coupled with old world craftsmanship. Each individual turned edge binder is made with care; the outside edges are turned by hand over stiff or flexible board. And you can choose from a wide selection of durable, attractive cover materials that won¹t crack or split. There is no more impressive way to use 4-color graphics or gold stamping on a binder or box than using turned edge construction. Academy specializes in turned edge binders and boxes for clients that are looking for a luxuriant look and high-end image—at an affordable price. This is the highest end binder construction type you can purchase. Expanded cloth supported vinyl is turned over board and sewn. Then, a panel is used on the inside as a liner that covers the raw edge of the cover material. Post binders are specifically designed to hold large quantities of material. They are available in 3" or 4" fixed or expandable capacity. These binders can be used to hold numerous catalogs or price sheets.